Get Into Your Irish Heritage! The Irish Letter is for people who want to get over to Ireland – for the first time or the 10th time – to enjoy the scenery, music, pubs and the humor of the Irish people. Until your next visit, we put you in touch with the living culture of Ireland. I visited Ireland in the 1970s, when it was incredibly backwards. Its changed since then, theres still something totally unique about it – if you look beneath the surface. 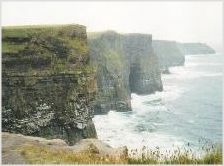 The Irish Letter is about less-known places for Ireland travel, and the flavor of Irish life. Join our community. Tell the story about what happened on your Ireland vacation Click here to email us about it, and we may include it on the website. Authentic Irish Pubs – Where is the absolute BEST pub in Ireland? Legendary Cullintra Farmhouse – A top B&B and gourmet restaurant near Kilkenny. Sweater Shopping In Ireland – Tips from a pro. Kilrush & Scattery Island – A charming village and an island of monastaries near Limerick. Exploring The Gap of Dunloe – A spectacular hiking retreat in County Kerry. Visit our Best Irish Links page for a listing of favorite web sites on everything Irish, including music, regional news, Ireland trips, budget travel Ireland & specialty tours for anglers, golfers and others. Copyright © 2018 Rum Point Digital. All Rights Reserved.